The Italian composer Luigi Dallapiccola (1904-75) always characterised himself as a ‘man of the theatre’, and Il Prigioniero (The Prisoner) has been performed more often than any other Italian opera since Puccini. Dallapiccola on Opera, the first collection of his writings to appear in English, proves that he was also an inspired essayist and critic. To the directness and psychological insight of his narrative style, Dallapiccola adds probing observation of details in the critical texts that form the core of this book. Whether writing about familiar masterpieces like Mozart’s Don Giovanni and Verdi’s Falstaff, Mussorgsky’s Boris Godunov and Debussy’s Pellèas et Mèlisande, or discussing such great but problematic works as Monteverdi’s Il Ritorno di Ulisse in patria, Busoni’s Doktor Faust and Verdi’s Simon Boccanegra, Dallapiccola illuminates fundamental, previously unnoticed dramatic and musical aspects. Hans Werner Henze called Luigi Dallapiccola ‘a rare example of a very complete humanitarian artist’. 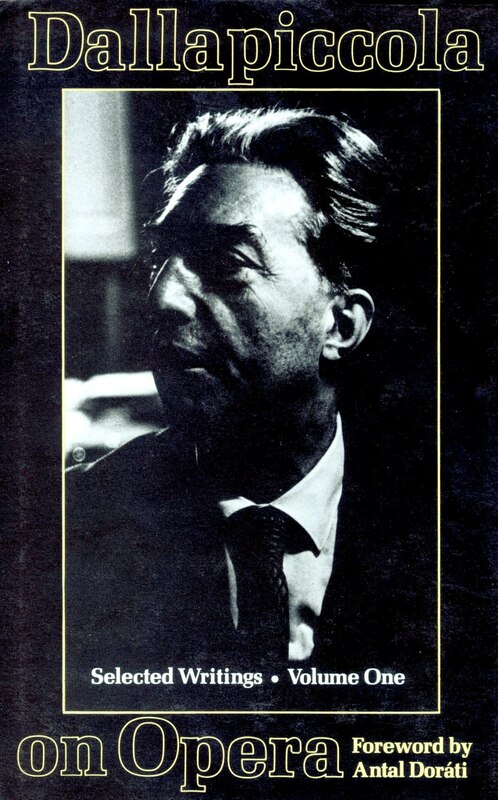 This volume reaffirms Dallapiccola’s enduring importance as critic as well as composer. A second volume of Dallapiccola’s writings, containing essays on aesthetics, politics, composers and works in genres other than opera, is currently in preparation.